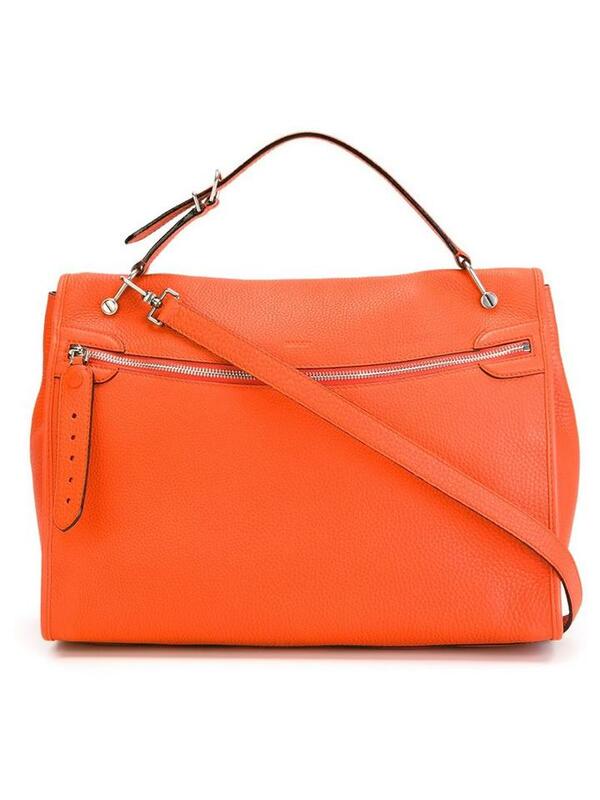 Blaze orange leather front zip tote from Bally. Size: One size. Color: Yellow/orange. Gender: Female. Material: Leather.